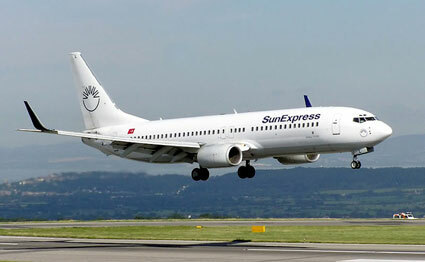 Founded in 1989 as a joint venture between Turkish Airlines and Lufthansa, SunExpress is a budget airline in Turkey with main base in Antalya, Turkey. It operates scheduled and charter flights to destinations in Europe. Its main base is Antalya International Airport and operates 20 aircraft in its fleet.